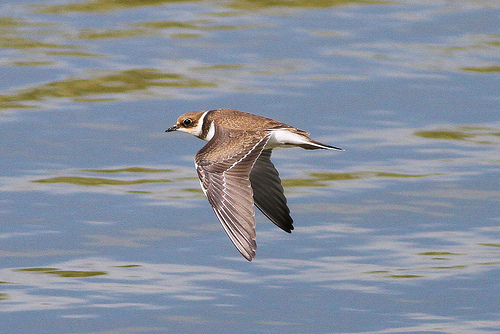 The Little Ringed Plover is a rare appearance in western Europe. It is slightly smaller than the more common Ringed Plover. 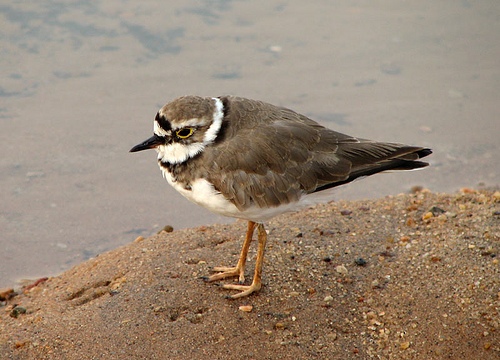 The Little Ringed Plover has a dark beak and pink legs. The Ringed Plover has an orange beak and orange legs.